Malmberg will deliver a complete geothermal energy plant to the property “Blåfjäll 1” in Kista, Stockholm, with energy drilling and heat pump central. This new environmentally friendly geothermal plant replaces cooling and district heating. Heating and cooling capacity is 550 kW each. The client is Adven which supplies heating and cooling to 20 large properties in Stockholm. 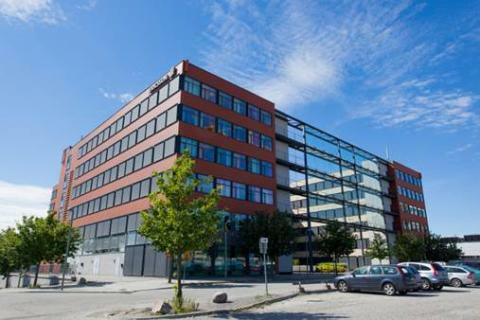 Adven supply five office properties in Kista, corresponding to approximately 100 000 square meters, with heating and cooling from renewable geothermal energy and the latest in the line becomes “Blåfjäll 1” owned by AXA IM - Real Assets. - This is an important deal for us, this will help AXA IM - Real Assets achieve their sustainability goals. The deal means another victory for us in Kista, and we are proud of, says Jonas Häggqvist, CEO of Adven Sweden. The contract is executed with Malmberg enerGeo ™ where the technology central is prefabricated and then easily docked to the energy wells, and property supply system for heating and cooling. This greatly reduces the construction time in the building. Even a smart control system for the entire energy production will be delivered, where heating / cooling is dynamically optimized according to the needs of the property. - To provide another geothermal energy solution to Adven and property Blåfjäll 1 in Kista, we see further evidence that geothermal energy is a future energy source. Geothermal energy will play a major role in heating and cooling in buildings. It is a development that not only sees the economic benefits, but also the profits for our environment, says Sara Malmberg, CEO Malmberg Drilling and Geothermal energy. 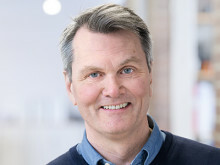 Malmberg is a leader in the execution of geothermal energy plants to commercial properties with references as IKEA, Stockholm Arlanda Airport and DHL. Adven deliver reliable business-specific supply and local heating networks in Finland, Sweden and Estonia. Advens operations are based on comprehensive solutions tailored to customer needs and with which energy is produced in a reliable and cost-effective manner with a minimal environmental impact. Advens products are geothermal energy to commercial real estate, industrial steam and -cooling, heating, cooling solutions, processing of secondary energy, gas and electricity.